Today is Emily Dickinson’s birthday. Emily Elizabeth Dickinson was an American poet born in Amherst, Massachusetts on December 10, 1830. I fell in love with Emily Dickinson when I opted for American Literature in my post graduation. I found her poems very touching, very deep in meaning, dealing with themes of death and immortality. There was some kind of instead connect with her poems. Of all her poems that I read, I loved “Hope” and “success” and these remain my favourite poems till date. My thirst to know more about Emily took me to many sites with great information about her life, family and influences in her writing. During one such meanderings, I came across The history kitchen, an amazing website dedicated to a deeper exploration of food, history and culture. 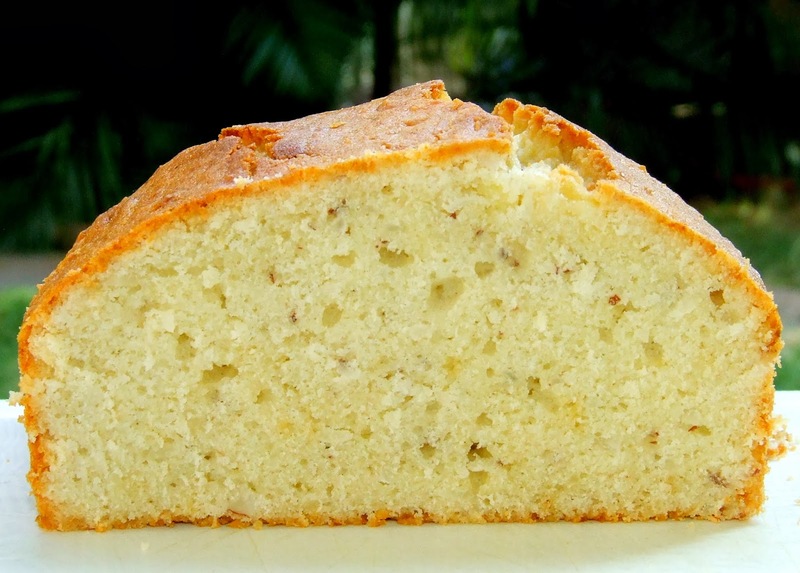 Tory Avi, who explores culinary anthropology and the story behind the food, was able to track down one of Emily Dickinson’s actual recipes, a Coconut Cake. 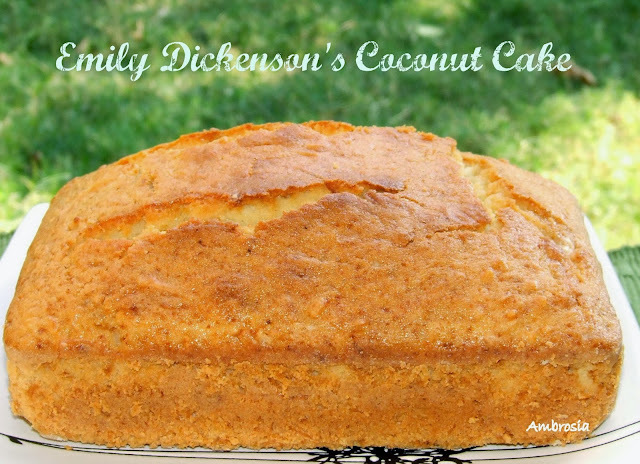 If it was not for her site, I would have never known Emily Dickinson’s lesser known passion for cooking and baking and the lovely recipe of her coconut cake. On her birthday today, I decided to bake her Coconut Cake and celebrate the life of this brilliant American poet. Preheat the oven to 165 degrees C. Grease and line a 9x5 inch pan. Beat in eggs one at a time. Add milk and mix well. Add flour in three shifts till just incorporated. Do not over mix. Pour the batter in the prepared pan. Level with a spoon. Bake for 50-55 minutes till the top turns golden and a skewer inserted in the center comes out clean. Hi Namita, That is a very nice tribute to Emily! She would be proud of u for the perfectly baked cake that you have put up here! 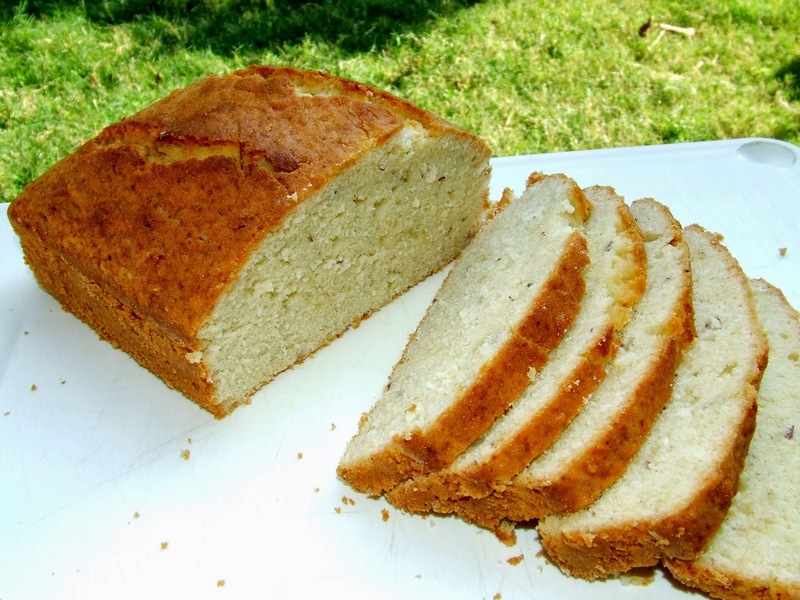 Lovely and healthy cake loaf, should be delicious with a cup of tea! I am sure that coconut milk will surely enhance the flavour. Will definitely try out! Thanks. you have got a lovely space here.Glad to have found it. Hello Avni, Thank you for Janamashtami wishes and wish you the same. I am sure that your cake will taste heavenly. Do let me know. I shall wait for your feedback. Hello Neha, use 1/2 cup thick yogurt in place of eggs. Happy Baking!